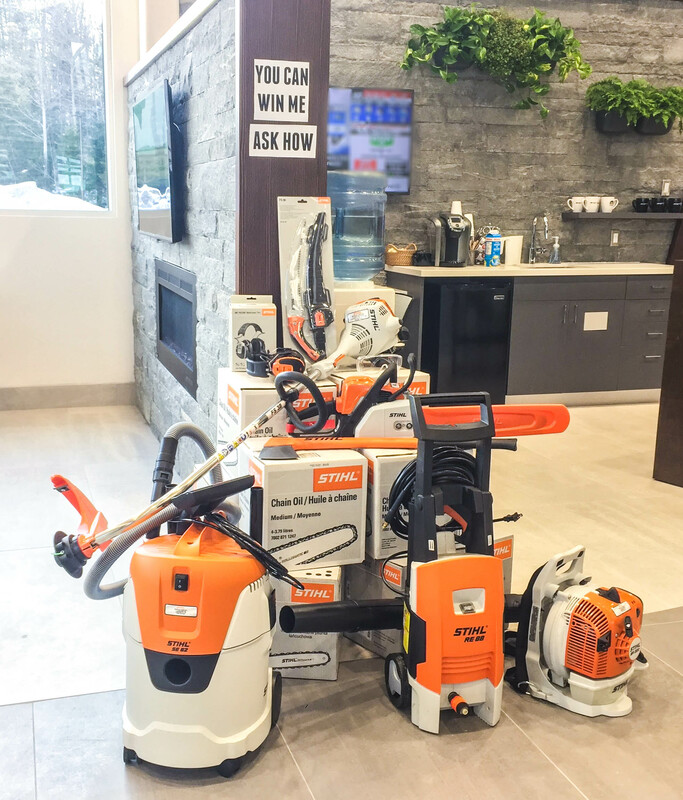 Take a photo of yourself at our new dealership for a chance to win a Stihl equipment package ($1500 value), supplied by Muskoka Rent-All. Post your photo and include #ArmstrongDodge in the description and follow us on Instagram. Post a PUBLIC photo to our Facebook Page, include #ArmstrongDodge in the description, and like our page. Post a photo to Twitter, include #ArmstrongDodge in your Tweet, and follow us on Twitter. Winner will be chosen if they have liked/followed our Facebook/Instagram/Twitter, used the #ArmstrongDodge hashtag, and posted an awesome photo. The winner will be notified via Facebook/Instagram/Twitter (whichever social network they posted their photo). Contest ends August 31, 2018.